Leading Manufacturer of stainless steel spring washer from Mumbai. Leveraging on the support of our sound infrastructure, we are able to come forth with the extensive range of Stainless Steel Spring Washer. Our products are extensively demanded and appreciated due to their high durability and optimum performance. These products are offered at the most competitive price. 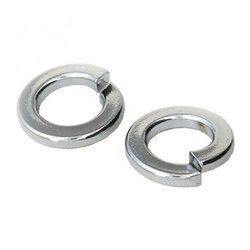 Looking for Stainless Steel Spring Washer ?